The following is an abbreviated description of this episode and its guests. 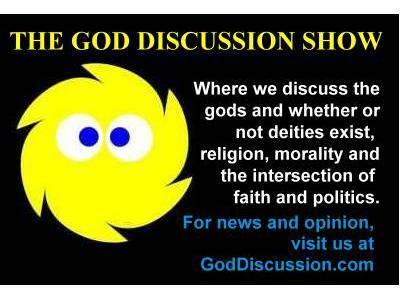 For more information and links to the guests' websites, please visit GodDiscussion.com. 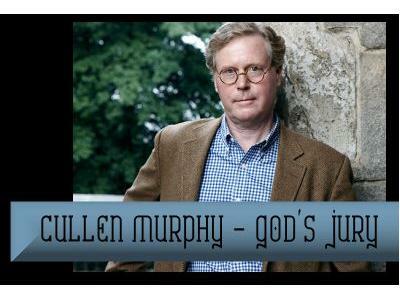 1st Hour – Cullen Murphy, God’s Jury: The Inquisition and the Making of the Modern World. In God's Jury, Murphy explores the Catholic Church’s nearly 700-year persecution of its enemies, real and imagined, and ties it to what we see happening in the modern world. Drawing on his access to the Vatican’s Inquisition archive, Murphy’s scholarship reveals surprising new facts. Cullen is the former managing editor of the Atlantic Monthly. He is currently the editor-at-large for Vanity Fair magazine. 2nd Hour – Staise Gonzalez, The Protest Against Helen Ukpabio. 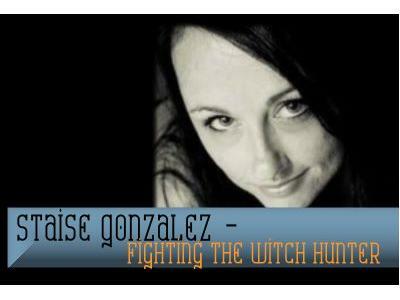 Self-proclaimed witch hunter Helen Ukpabio is planning to spearhead a “Marathon Deliverance” in Houston in March, and activist Staise Gonzalez is organizing a protest. Ukpabio, a Christian “apostle,” preaches a gospel of hate that fuels witchcraft accusations against children in Nigeria and other parts of Africa, who suffer discrimination, torture and death. 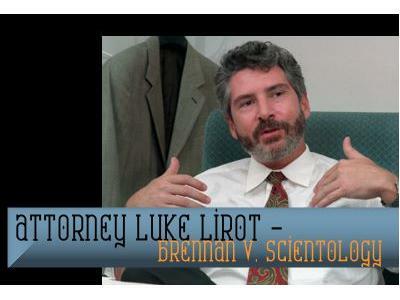 2nd Hour – Attorney Luke Lirot, Brennan v. Scientology. February 16 will mark the 5th anniversary of Kyle Brennan’s death. Luke Lirot, attorney for his estate, is appealing the dismissal of the wrongful death lawsuit against Scientology. Lirot is a prominent First Amendment attorney based in Clearwater and will share his thoughts on this disturbing case.